Unlike Sam, I wasn’t hit by a car, nor did I spend months in a coma, though I was shut away for several hours a day staring at a lap top, while I tried to make sense of an alien world whose day-to-day limitations are now largely forgotten, even by those who lived through them. 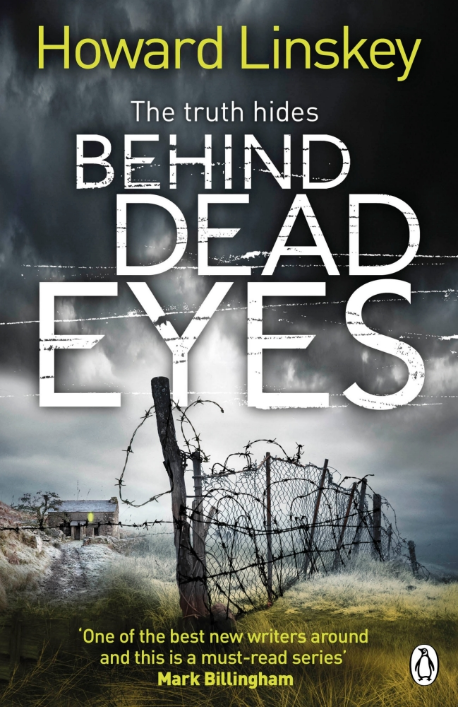 I spent that time writing ‘Behind Dead Eyes’; the second book in my nineties-set crime series for Penguin. The first; ‘No Name Lane’ featured journalists, Tom Carney and Helen Norton, along with Police detective Ian Bradshaw, who investigate the disappearance of a missing girl and an unidentifiable, decades-old corpse found in the north east of England. I wanted these books to have a mystery at their heart that would be solved by a combination of police work and journalistic skill. ‘Behind Dead Eyes’ begins with a letter from a murderer. Richard Bell is serving a life sentence for killing his lover and asks Tom Carney to help clear his name. Tom is far from sure Bell is as innocent as he claims, so he promises the convicted man no more than an open mind. Meanwhile, newly promoted Detective Sergeant, Ian Bradshaw tries to persuade Tom and Helen to help him find the daughter of a high profile local politician. Sandra Jarvis has been missing for months. Bradshaw is already busy enough, attempting to identify the Burned-Girl, a murder victim whose face has been completely erased by acid. This corpse is not Sandra Jarvis but could they be linked in some way? Was there life before the internet? With a cold case, an unidentifiable murder victim and a high profile missing person to write about I had enough on my plate already. The nineties setting added a new layer of complexity because it’s easy to forget how limiting the technology used to be and I had to wrack my brains to get the details right. I was a journalist back then, in a pre-internet age without the web, e-mails, text messages or even a mobile phone, which were far from ubiquitous, being expensive and considered non-essential, even for journalists. That seems a crazy notion when even young kids own them these days. Back then, research was something you did in a library or newsroom. It was often a long and sometimes fruitless pursuit, using actual books that did not always contain the information you were looking for. Both Tom and Helen painstakingly wade through countless back-issues of newspapers kept in enormous hard-backed folders, to find information that would be a click away if only they had Google. Another thing that has changed since the nineties is the newspaper business; or what’s left of it. We get our news from a huge variety of sources these days. The ability to break it immediately on social media means I often find myself wondering if I have picked up yesterday’s paper by accident, because the reports I’m reading already feel like old news. In the nineties, if you fell-foul of ‘The Sun’ or ‘The News of the World’ you really were in trouble. The Sun had a circulation of nearly five million at its height in 1995 and could make or break a politician with a well-chosen headline. Some of that influence remains but newspapers are nowhere near as dominant. These days, the famous tabloid’s circulation is less than two million. Twitter is more likely to destroy someone than a newspaper and this can be done in a matter of hours. One badly phrased tweet or ill-conceived act can lead to a ‘Twitterstorm’ that buries its victims under an avalanche of outrage. Jobs can be lost, reputations ruined, relationships destroyed and families become collateral damage. We seem to live in a world full of outraged Tweeters these days and they don’t always pause to allow the facts to get in the way of their indignation. It’s hard to say if we are better off or worse. One of the plot strands in ‘Behind Dead Eyes’ leads my main characters down a decidedly murky path, involving the exploitation of vulnerable young people. As I was writing this book, thousands of historic abuse cases in Rochdale and elsewhere around the country were becoming known to a disbelieving nation. What really struck me was the vulnerability of the victims, who often came from troubled families where drink, drugs and violence were a way of life. Housed in the, perhaps inappropriately named, ‘care’ system, some of these troubled youngsters had a history of petty crime and lying, so no one believed their claims when powerful, seemingly-respectable people preyed upon them, which was precisely why they were targeted. Many of the abused did not even see themselves as victims, because they had been groomed into believing the older men exploiting much younger girls, were ‘boyfriends’ who loved them. 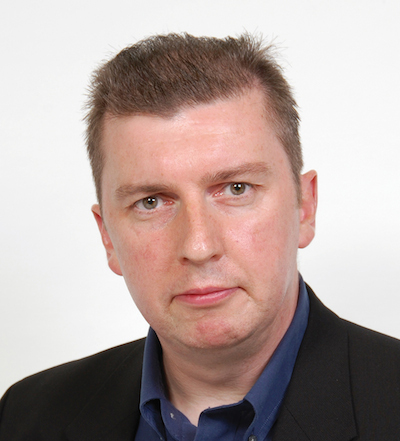 The wide-spread abuse in Rochdale was exposed by seasoned and dogged reporters from the Times newspaper. Perhaps some things in the modern world do remain the same and we should be thankful for that. Investigative journalism, with its potential to blow the lid off a damning story, while shocking a complacent nation into action in the process, is not entirely dead. Campaigning journalists, like my characters Tom Carney and Helen Norton, can make a difference and long may that continue. More information about the author can be found on his website. ‘Behind Dead Eyes’ by Howard Linskey is published by Penguin Random House on May 19th.